NEW YORK-- BlackBerry is back, just in a new way. The Canadian company on Friday announced and made its new Priv smartphone available for pre-orders. Unlike earlier BlackBerry devices, the $699 Priv runs on Google's Android software, 5.1.1Lollipop, as opposed to BlackBerry's own BlackBerry 10 platform which has failed to gain significant market share since its launch in 2013. According to the pre-order page, the phone will start shipping on November 6. At its pre-order price of $699 without a contract -- $50 more than an unlocked iPhone 6S and Samsung Galaxy S6 -- BlackBerry appears to be targeting core business customers. 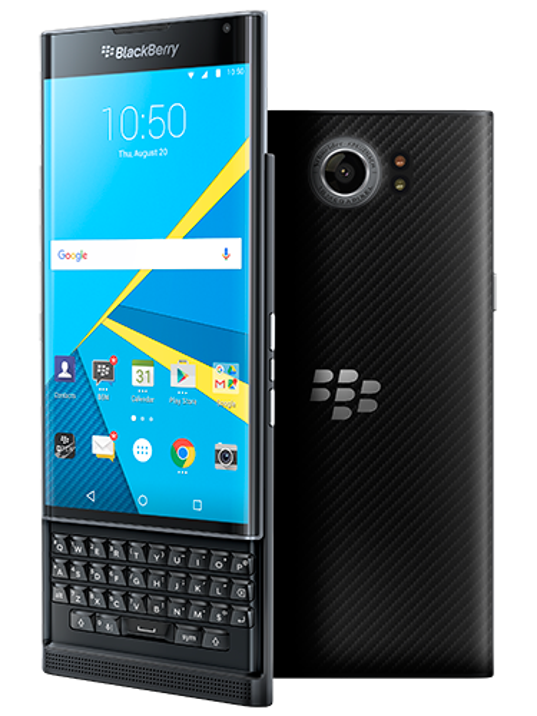 Similar to some earlier BlackBerry phones like the Torch, the Priv features a full, slide out QWERTY keyboard beneath its 5.43-inch curved high resolution QHD screen. As can be expected, the phone will feature several of BlackBerry's own security, messaging and email apps including BBM and BlackBerry Hub pre-installed. While the Priv supports 4G LTE, in the U.S. the phone will only work with AT&T or T-Mobile's networks. The phone also features a 18-megapixel rear camera with 2 megapixel front camera and large 3410 mAh battery that BlackBerry says will get over 22.5 hours of "mixed use" to get you through the day. Like many top tier Android phones, the Priv is powered by a Qualcomm Snapdragon 808 processor and is paired with 3GB of RAM. The Canadian company's fall within the smartphone market has been well documented. After failed efforts to modernize its products last year, it has had a very quiet 2015. Earlier this month, CEO John Chen told The Verge that if the company failed to sell 5 million phones this year it might pull out of the hyper-competitive smartphone market entirely.